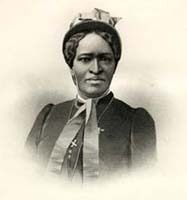 Amanda Smith, 1837-1915 An Autobiography: The Story of the Lord's Dealings with Mrs. Amanda Smith, the Colored Evangelist: Containing an Account of Her Life Work of Faith, and Her Travels in America, England, Ireland, Scotland, India, and Africa as an Independent Missionary. An Autobiography: The Story of the Lord's Dealings with Mrs. Amanda Smith, the Colored Evangelist: Containing an Account of Her Life Work of Faith, and Her Travels in America, England, Ireland, Scotland, India, and Africa as an Independent Missionary. Chicago: Meyer & Brother Publishers, 1893. African American evangelists -- United States -- Biography. Women evangelists -- United States -- Biography.